Just fill in all the information below and click on the submit button to finalize your order. This is a secure form. The charge will appear on your card as "Apostles of Divine Mercy". Credit card orders are shipped the next business day. We can ship Overnite and there are many same-day frame shops that will frame your image quickly. 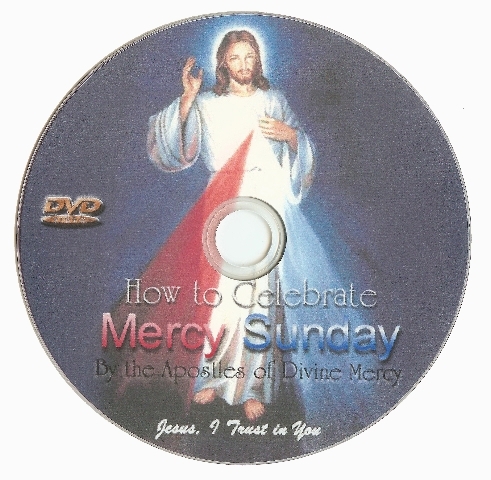 Make sure your parish has an image for Divine Mercy Sunday! If you prefer, print out the form, fill it in and mail it to us with your credit card information, a check or money order to Apostles of Divine Mercy, 801 SE Forgal Street, Port St. Lucie, FL 34983, or call 1-888-732-0722 (1-772-343-9475 Intl.) for immediate shipment. 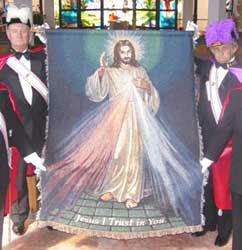 If in 30 days you are not satisfied with our Divine Mercy images, we will gladly refund the full purchase price. Make sure your address information below reflects your correct credit card billing address. All glossies are laminated with a UV protection and are ready for framing. Call for details. Click on the image for an enlarged view. If you wish to make a donation to help carry on our work, please indicate amount. ministry comes from the sale of Divine Mercy Images. Please help us to help Jesus save souls.